Information about refreshments (food and beverages), which will be provided on the NTS course plus information about possibilities to take water (outside of the checkpoints). Magnesium, grape sugar and salt will be available on all checkpoints (KS). Checkpoint, water, sports iont drink and fruit will be available here for your refreshment before Kráľova hoľa ascent (no hot meal). Checkpoint, water and sports iont drink and a small refreshments including fruit purée, gingerbread and dried fruit will be available here (no hot meal). 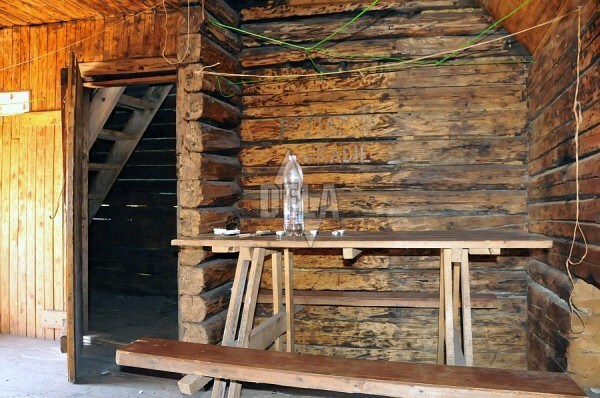 The Andrejcová chalet staff will provide drinks next to the NTS trail close to the Andrehjcová chalet. Checkpoint and aid station with beverages and food (fruit, salty and sweet meal, no hot meal). Checkpoint, water, Coca-Cola, sports iont drink and a small refreshments will be available here (no hot meal). Checkpoint and aid station with beverages and food (soup, fruit, salty and sweet meal, various beverages). Chcekpoint, water, sports iont drink, banana, bread with peanut butter or Nutella will be available here. There is a possibility tu buy hot meal and further drinks in the challet. Checkpoint, water (approx. 2 L / person), sports iont drink, traditional tea from Kamienka. There is a possibility to buy hot meal and futher beverages in the challet (preferential service). Checkpoint and aid station (fruit, salty and sweet meal, no hot meal). In DAMIsport restaurant (finish place) hot meal and beverage will be witing for each paticipant. There is a possibility to buy also further meals and drinks here (depending on the arrival time).